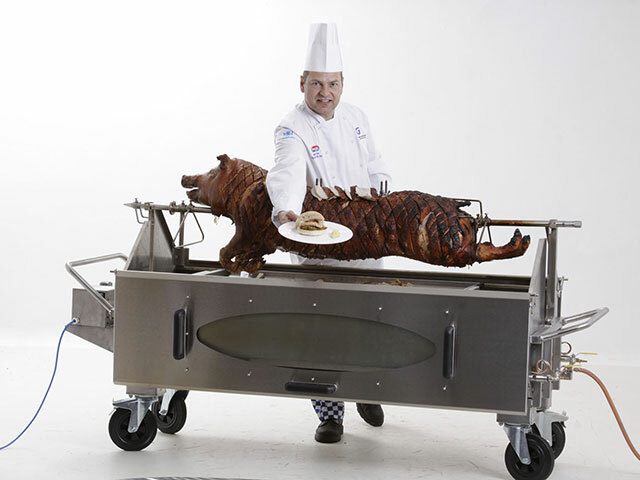 We are a family run business providing Hog roast hire. We pride ourselves on our professionalism and excellent customer service. We are here to provide a quality service to you, your family and friends, work colleagues, or business colleagues, so they can enjoy their special day or event. So whether you are arranging an event such as a fete, a garden party, music event, wedding, birthday, anniversary, christening, business lunch, seminar, conference or a corporate event we can easily cater for all your needs. Our chef will be on-hand to serve and carve for your guests at a time to suit you. And depending on the size of the venue, 3 to 4 smartly dressed uniformed assistants will be available to serve, and they also come complete with a lovely smile and pleasant manner. We only ever use freshly cooked top quality, locally sourced meats. 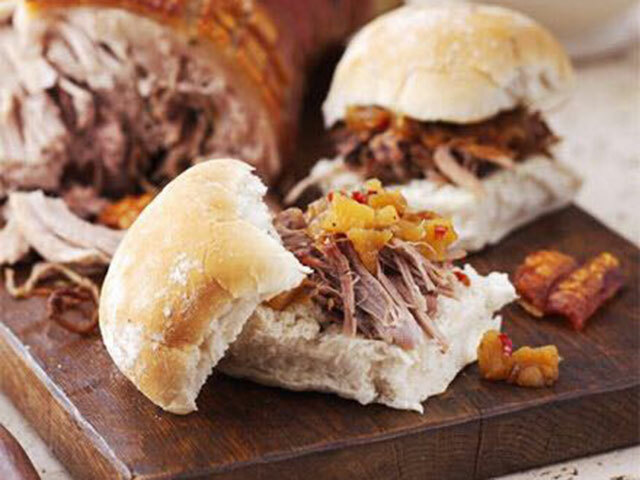 We will deliver a tasty experience of succulent pork with crunchy crackling, sweet apple sauce, sage and onion stuffing and freshly baked rolls. 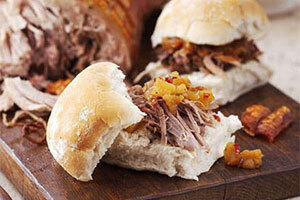 Without a doubt we have the best and tastiest Hog roast in Norfolk. Diamond scored succulent hog roast and crunchy crackling. Freshly baked on the day bread rolls. Choice of freshly prepared salads: Green Salad, Potato salad or coleslaw. 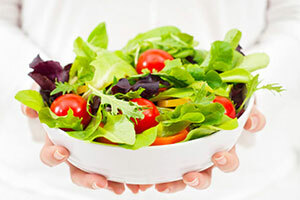 Choice of freshly prepared salads:Green Salad, Potato salad or coleslaw. 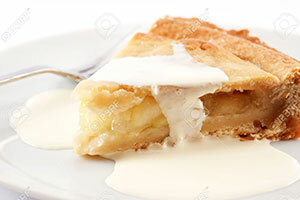 Apple pie and cream, gateaux or trifle.